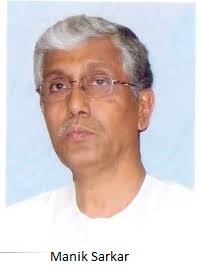 Manik Sarkar born 22nd January 1949 who turned 64 this year is believed to be the purest CM of all with being poorest too. Even his rival and opposition party members trust his words and say he is truly honest politician. It is said that her wife also follow her footsteps and don't accept the govt provided car and walks her own by her own means generally by rickshaws.